Tube or Solid state? What’s the difference anyway? If you’re trying to pick the best guitar amp for your needs it’s easy to get confused if you haven’t done your research. But that’s why you’re here! If you’ve found this article you already know there are a few different types of amps to consider. You probably also know that there is ton of conflicting information out there on each. This page ought to help you sort it out. 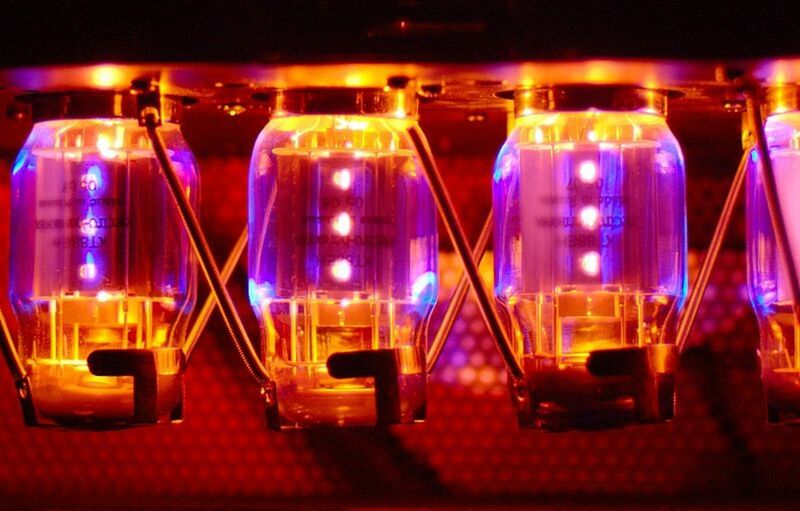 First, some basic info: All major guitar amplifier manufacturers build amps using either vacuum tube technology, solid-state technology, or a combination of both. Some amps incorporate digital technology as well, which is often used to emulate the sound of other amps, either tube or solid state. There are a couple of interchangeable terms to know right from the start. When talking about tubes you may also hear the term valve, especially in regard to British amplifiers like Marshall or Vox. What is the difference between tubes and valves? There is none. They’re just different words for the same thing, and whichever one you use usually depends on which side of the ocean you are on. You might also hear solid-state amps referred to as transistor amps, or transistor technology. This term might be a bit outdated, but again it’s another word for the same thing. Some of the top amplifier manufacturers also like to invent words for their own particular, patented type of technology or amp designs. Don’t let any of that derail you. The important thing to figure out is whether the amplifier is a tube amp or a solid-state amp. A quick read of the amp’s specs should give you this info easily enough. For now, let’s take a look at the difference between tube amps and solid state amps. Tubes date all the way back to the days of Thomas Edison. Prior to World War II, pretty much every electronic amplifier out there incorporated a tube design. This included radios, telephone technology and early televisions. In the late ‘40s transistor technology was invented, and over the next thirty years most systems that relied on tubes switched over to transistors. Guitar amplifiers are one of the few cases where, in the opinion of many, tubes remain a better alternative to transistors. Transistors don’t work all that differently than tubes, and many solid-state amps sound really good these days. Modeling amps in particular have done a lot to narrow the gap between tubes and transistors. Many of them utilize digital technology, and can mimic not only the tube sound but the tonal impact of different speaker cabinet setups. The days when solid-state amps sounded lifeless and buzzy are gone. Guitar players today have many choices in amps, whether they are all-tube, solid-state, digital or a hybrid model. Yes, some amps are even made with part-tube and part-transistor technology. But even with the rise of incredible digital effects and tube-like transistors almost all guitar players still agree that tubes sound better. In fact, most professional guitar players, and the serious amateur ones, choose tube amps over solid state just about every time. But why? What's the Difference Between Tube and Solid State? Tube overdrive is much smoother, and more responsive than solid state. It can be influenced by adding high-gain pedals to the signal chain between the guitar and amplifier, and this gives players much more control over the sound. With a tube amp, even how hard a player picks can influence tone. Tube amps are more subtle, and the variances in the signals coming from your guitar are more accurately represented. Tube amps are loud, and they tend to be louder for their listed wattage compared to solid-stte amps with the same specs. In other words, a 50-watt tube amp will usually be much louder than a 50-watt solid-state amp. This is important when it comes to being heard over your drummer, but for another reason as well. The tube saturation we’re looking for happens when the tubes are pushed hard, generally close to their max. 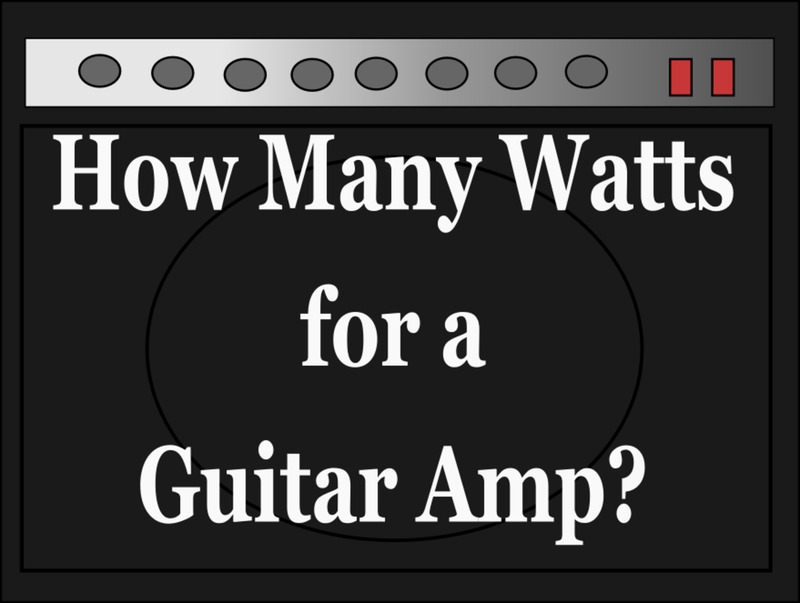 The “max” of a 50-watt amp occurs at a lower volume than a 100-watt amp, so we can get great tone from a lower-wattage amp. Realistically, 100-watt stacks have very limited uses. Tube amps in the 40-50 watt range are more than enough to get the job done. Tube amps have a warmer sound. Even in cases where players do not care about distortion they often feel that the tube sound is more natural, and warmer. That said, this is one aspect where some good solid-state amps can give tube amps a run for their money. So, if tube amps are so great why would anyone ever want a solid state amp? Historically, to achieve all the wonderful things listed above guitar players had little choice but to go with a tube amp. In the past decade that's changed. A lot. There are many solid state and digital amps that do a good job of replicating all the good stuff about a tube amp. Can you tell the difference? Maybe. Maybe not. It depends on your ear, and the kind of sound you are looking for. Point is, don't shy away from solid-state amps just because you think tubes are the only possible way to get good tone. That's just not true anymore. There are more good reasons you may choose a solid-state amp over a tube amp. Solid-state amps are generally more reliable than tube amps. Vacuum tubes are a somewhat archaic technology, and prone to all kinds of issues. Like a light bulb, they only last so long before they need to be replaced, and you never know when one is going to go south. Tubes are a bit more fragile. If you have a roadie and amp tech to manage your gear you might not care, but if you’re like most gigging musicians you toss your amp in the back of the van with all the other junk and expect it to work when you get to the gig. You don’t need the added hassle of trying to diagnose why your tube amp suddenly won’t cooperate. Solid-state amps are generally less expensive, both to purchase and maintain. A tube amp will require time and money to keep it in the proper working order. A solid-state amp can go on for years or even decades without you ever having to worry about what’s going on “under the hood”. 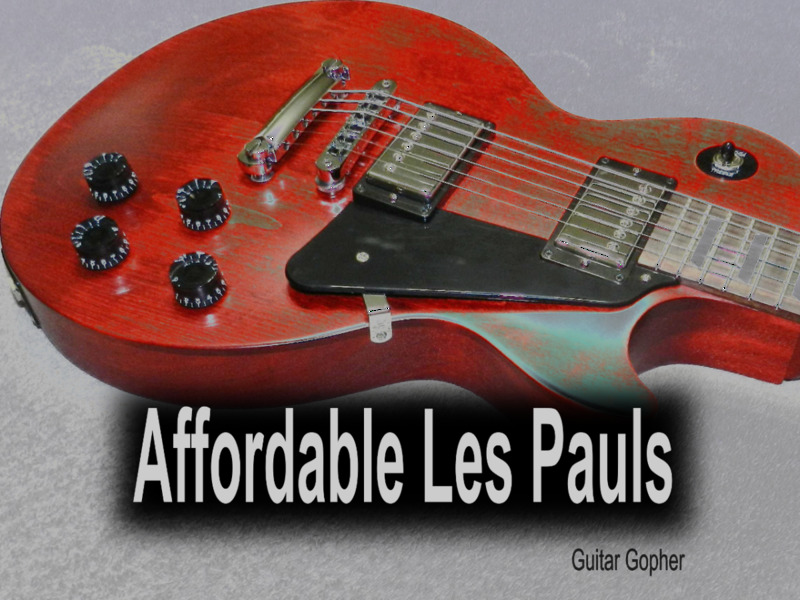 You can see why solid-state amplifiers might be a good choice for many guitar players. Their sound has gotten much better over the past couple of decades, and their reliability, cost and ease of use makes them a very attractive option. Many hobby players, gigging musicians and newer players prefer solid-state amps for these reasons, but some pros use them too. Jazz guitarists often prefer the super-clean sound of a transistor amp. 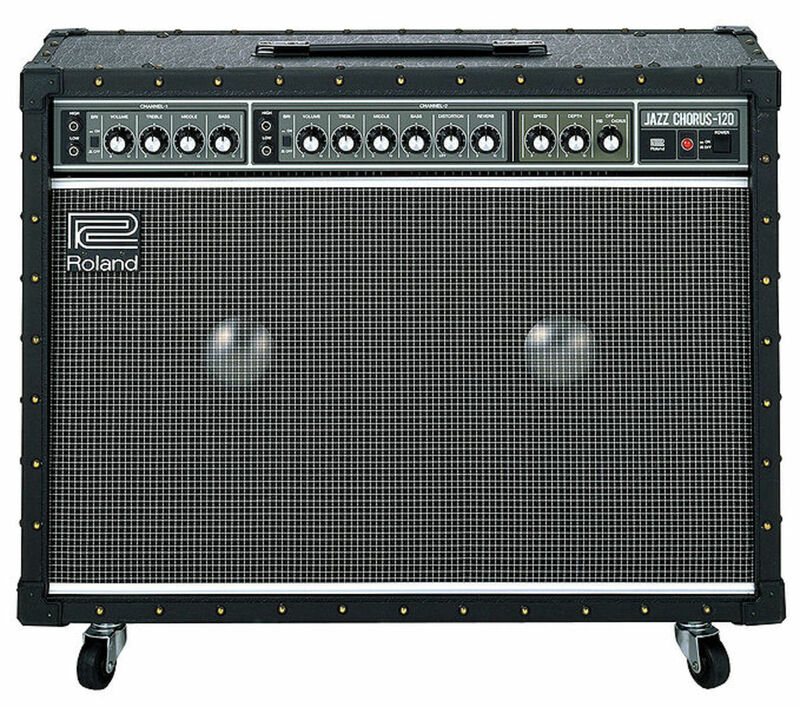 The Roland JC-120 is legendary among jazz musicians, and even rock players looking for a good clean sound. Many solid-state or Transtube Peavey amps are known for their power and realistic distortion. The late Dimebag Darrell, formerly of Pantera and Damageplan, was known to use solid-state Randall amplifiers because they accomplished the harsh, buzzy tone he wanted. So who plays tube amps? Pretty much everyone else. Tube tone is definitely the gold standard in guitar sounds, and most rock guitarists from Hendrix on have used tube amps to get their sound. When you’re trying to make your decision, consider your needs realistically. It’s easy to get caught up in what you think you should be playing based on the rigs of your favorite guitarists, or what people are saying in guitar forums. But remember that your tone will ultimately come from you, and the aura that surrounds certain amplifiers is often just a whole lot of hype. Let your wallet help you decide. Unless you can justify plunking down the extra cash for a pro-grade amp, sometimes you’re better off with a little money in your pocket. This is especially true for young players. You realistically think you need it for your playing situation. You have the time and patience to deal with upkeep. Nothing but awesome tube tone will do! You’re a bedroom or basement hobby player. You don’t want to own an amp that’s worth more than your car. You’re a gigging musician who needs a reliable rig. You found one you like better than any tube amp you tried. Of course the notes above are only suggestions. There are plenty of hobby players that have full Marshall stacks in their basements and love them. Nothing wrong with that. Some players love working on their gear, and don’t consider amp maintenance a hassle at all. There are some very reasonably priced tube amps on the market today, so it’s not necessarily true that you’d have to spend a ton of money to get tubey tone. When it comes to guitar gear, ultimately you have to do what makes you happy. All kinds of players get incredible sounds out of all kinds of gear, so you can certainly go against the grain and make it work if you want to. Hopefully you found something about this article helpful. Good luck choosing the best tube or solid-state amp to meet your needs. I Feel like we listen with our eyes & our Minds First...then our Ears. * Disclaimer ... this isn't to pick on Tube Or SS amps or anything. just merely an observed point id like to make from my "Research" involving human experiments. 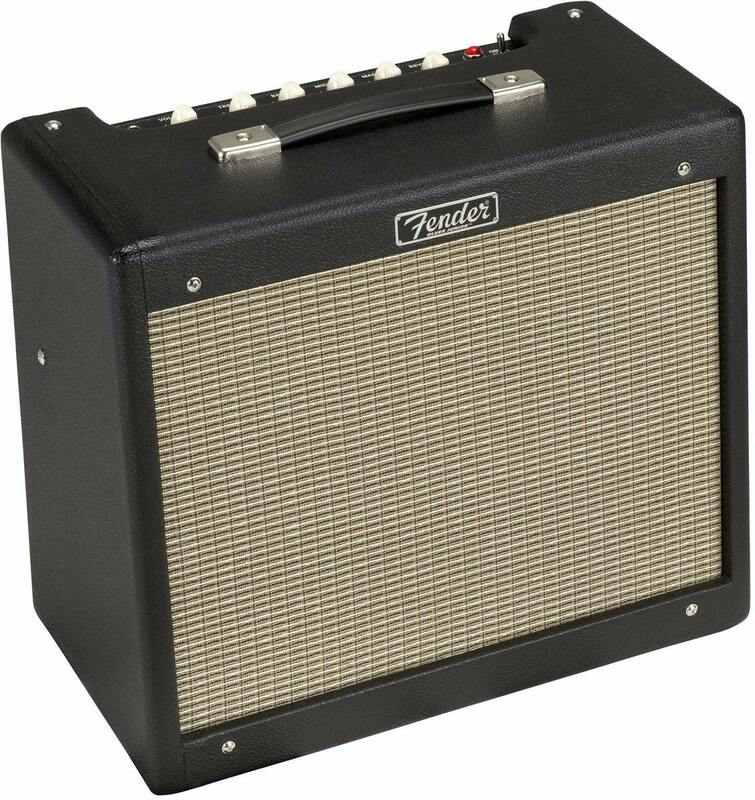 Allot of players will approach a Amp fairly closed minded, giving a SS amp a chance but ultimately knowing the iconic **Insert amp here** is what truly good tone sounds like. For a Test, (I work in a Music Store) I plugged in a BOSS Katana 100w Head and ran it through a Marshall 4x12 Cab loaded with V30's. the Amp itself was hidden, 4 presets controlled through a foot-switch bar that's unbranded by the Boss/Roland Name. their where 4 very beautiful Tube Amps that were on and could be selected via a Modded Ampeg Amp selector. all running into that Marshall Cab. the Amps being a 5150, Marshall Origin 50, Mesa Duel Rec, Orange TH30. the results where hilarious, most of the Hard Rock/Metal Guys liked the Mystery amp. although the 5150 got top marks. it was by far the most enjoyed clean amp. I think that it depends on what you are trying to accomplish. I personally have not used distortion for decades. I play jazz. So a decent clean tone is all that I require. I roll off the highs a little bit, so that makes it even easier to get an acceptable tone, for me. My fingers to the walkin' . My practice time shows much more than and the differences between a tube of solid amp. If you require a distorted sound to play, then maybe tube amps will give you a slight edge, in tone. However, with modern electronics, I would suspect that most of you "tube guys" couldn't tell the difference between a tube or SS amp, if you weren't looking it. Even Van Halen has used rows of solid state amps for his final output. He uses a tube amp right out of his guitar, but these are fed to rows of SS amps. If the harmonics are different in a SS amp, why would he be filtering his sound through solid state amps? 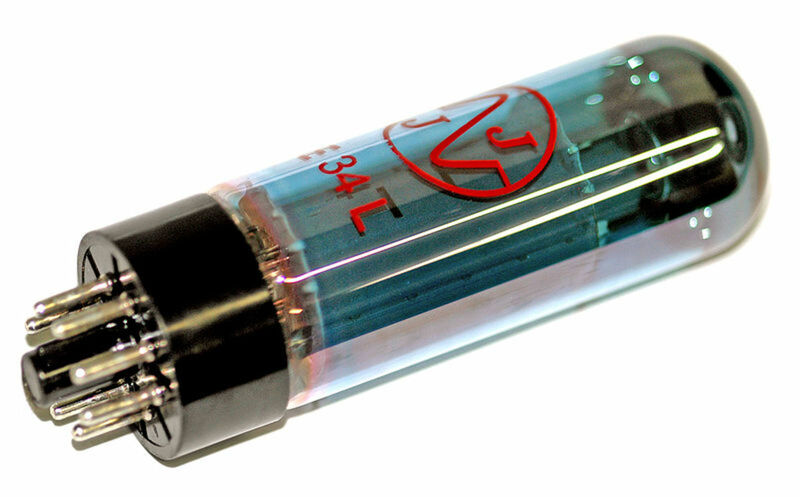 In the past, when solid state was just beginning, yes, there was a difference between tubes and solid state. Now, with decades of experience, I would highly question whether most of you could tell the difference between tubes and solid state, if you weren't looking at the amp. Add to this that SS amps are much more maintenance free. Do you want to concentrate on your music or doing maintenance on your gear? I'd say get a good solid state amp, and concentrate on your music. Too many of us spend time thinking about gear, instead of practicing our instruments. Believe me, your audience doesn't care if you're using tube or solid state. They won't know the difference. What they will notice, though, is whether or not you've done your homework, musically. @Howabouthtat - I used to be one of those guitarists that hated modeling technology, but in the past half decade or so it has really improved. I have a couple of small modeling amps for messing around, but if I found myself in a band tomorrow I would certainly consider one for performances. or you go with modeling amps. snob guitarists hate them because the modern technology basically represents the opposite of vintage tube amplification. but they are affordable and give you usually many sounds for your buck. most of them have presets which makes it easy for beginners. they can sound bad but they can also be very decent - and occasionally even sound very authentic like the famous amps they were modeled after (when you dial in the sounds correctly). Thanks for writing this article. My son is getting into the guitar more and I want to get him good sounding but affordable amp. He has outgrown the tiny personal amp he currently using. The only place Tubes survived were in the Guitar amp, before the year 1980 when it went back in hi fi.How big did it go in hifi?The general sound demand to day has decreased,in old days it was quality speakers and expensive things,to day ewerybodys happy with plastic boxes and cheep stuff.But tubes are more comon than in the past 30 years. Great article... I'll stick with my Line 6 Spider V 240w with 212... Awesome amp! Juan, those are two very different amps. The Bugera is 50-watt tube amp. It is loud and powerful, like a traditional tube amp. It does a handful of sounds, and is geared toward the classic British vibe. The Marshall Code is a modeling amp. Is is made to capture a whole bunch of different sounds, and has on-board effects along with other bells and whistles. It is more versatile and features more modern technology. You have to think about what you want in an amp, then get out and try them both if you can. Good luck! Am really confused. I was thinking that tubes were better, i have never played on them because there are no guitar shops in my country. I have never bought a guitar amplifier, only the one that came with the guitar. So... a few months ago i started building my own cabinet because i wanted a "real" set, because the amp i have is a 10 watt one. The question is: If i have a celestion vintage30, which head would go better for me? a Bugera t50 or a marshall code100. Btw, I like to play 80's rock, like chuck berry, and such as BMTH and stuff like that. Good article and accurate too. 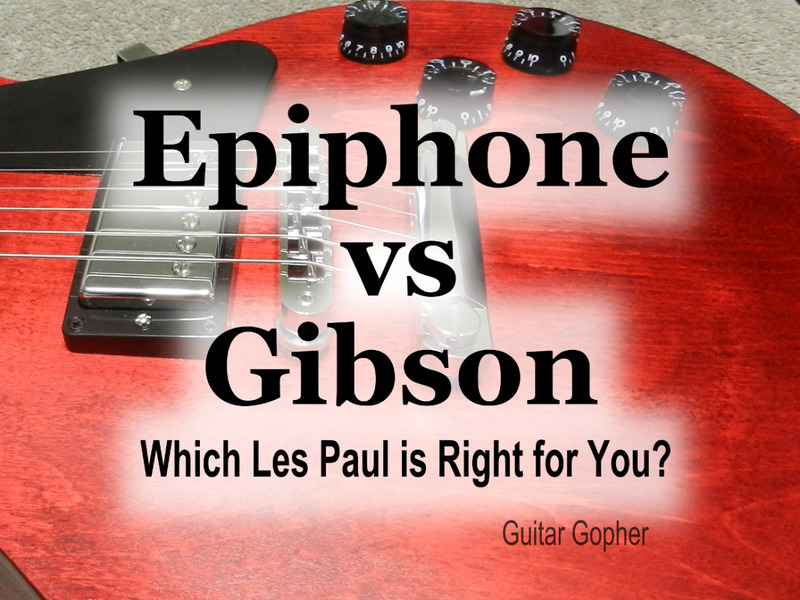 To add my opinion, the choice is even more interesting when you come to use a valve based pre-amp and then try to decided if a valve or solid state power amp is best! Unless you turn up a valve power amp to such a level that the tubes start to overdrive, there seems to be very little benefit in sound between the two types. The majority of the sound comes from the pre amp section - the power am section just amplifies that sound. I currently use a Marshall JMP-1 pre amp and run it through an ART SLA-2 solid state power amp. I have no knowledge of the wonders inside the SLA-2 but it sounds and responds very much like a tube/valve power amp. The 'nasty' sounds that used to come from an SS amp was when the volume was cranked so high that the SS went into clipping, which is not a pleasant sopund. If you have an SS amp, go for lots of clean power. The SLA-2 runds at 200 watts per side into 8 ohms - I run mine into a Marshall 1936 cab in stereo so each speaker is providing a 16 ohm impedance. This reduces the output of the SLA-2 to around half...so 100 watts (ish) per side of clean power, more than enough for me. I can't run it flat out because the speakers are rated at 75 watts each, so I set my SLA-2 volumes at around 40% of max and use the JMP-1 output level (volume) for overall control. This is very loud with all of the flexibility the JMP-1 provides via patch volume, effect levels and eq settings. Hi Jeff! I think a lot of players are moving back to solid-state amps. Especially if reliability is important, they are tough to beat. It's even better if you prefer the sound - Dime from Pantera chose his Randalls because he liked the grit of solid-state amps. Was supposed to say Pantera in my last comment, not Panthers. Typed the whole thing on my cell phone and it changed it for whatever reason lol. I must say, after twenty, almost thirty years of playing guitar, I am just now starting to find out my tone and preferences. A little background on my tatses, I started out playing metal because back in the 80's I was a Metallica obsessed 12 year old beginning guitarist. I also loved bands like Slayer, Maiden, Testament, Megadeth, and Sepultura. When the 90's came around, Inliked bands such as Dream Theater, Queesryche, Panthers, Static X, White Zombie, and of course my secondary bands were most of those grunge bands of the time. But with all this being said, I loved all kinds of music, hard rock, soft rock, some punk, maybe a tiny bit of hip hop (not much). As a beginning guitarist I was a poor white trash kid who's mom couldn't afford to get me the latest and greatest gear, so it took me a very long time to learn the difference between anything gear related, such as tube vs. solid state etc.... I played anyway because I loved it. The cheapy solid state amp my mom bought me sufficed for the sound I liked and I am very partial to it even to this day. I find that SS amps with built in distortion are much tighter and sing better. I love the sound of it's compressed sounding distortion because it sounds tight and fluid, without any crackling. Recently, within the last 4 years, I've owned two tube amps (the only tube amps I've ever owned). The first one was a Mesa Boogie Mark V combo, and the second was a Marshall JVM410H with a 1960 cab. Both sounded horrible to me. They sounded too harsh and "touchy". The feedback was unbearable and I couldn't fix the problem, even with a noise gate (which I never even needed one before with SS). Hell, I didn't even know what a noise gate was lol. I sold my Mesa Boogie and I still have my JVM, but thinking very intensely on selling it. It weighs a crap ton, has major noise issues (feedback, hiss, hum etc...) I've never understood what everybody's fuss/obsession with tubes were. I've been playing for over 20 something years, am pretty decent at it, consider myself an advanced guitarist, even taught myself music theory to be better, and I absolutely can't stand the sound of a tube amp. I use a rackmount ADA MP-2 tube preamp with two 12AX7s. I've had it for more than 20 years. Before that I had a Mesa Boogie Mark III. I've bought several solid state and digital amps over the years and I've wound up returning or selling them all. I can't find the tube tone I love in any other kind of amp. However, a friend of mine has an endorsement with Fractal Audio. He keeps telling me I need to get an Axe FX II. The guitar on his albums sounds fantastic but those have been processed in a studio. I'm looking for live gear so I'm a little skeptical. I've heard good and bad things about the Line6 Helix. I have a Firehawk FX that I use only because it is easy to transport and setup. I use it for small gigs only. It just sounds to "cold" and "brittle". There's no warmth like you get with a good tube amp. I agree with the fact that the gap is closing, I have a 1st-gen spidervalve head on a 1960 marshall 4x12 and I really like it. I've had a micro-cube, a marshall mg2fx and now using a vox mini 3 for toying/travelling with, I had a vox ac-4 (10") for awhile, interestingly I put the mini3 side-by-side with the ac-4 and set it on a crunch mode (can't remember which right now) but the equivalent settings with the ac-4 as close I could get it, no lie but the mini 3 seemed more touch - responsive and just plain chimy-er than the real tube amp. Mabey the speaker was a factor I'm not sure but I'm impressed with the mini 3 for what it's purpose is. I also got a used valvetronix vt15 and quite impressed with the touchy-ness of it too although the speaker seems a bit muddy to me. I'm curious to try a higher-end valvetronix neodymium amp, and also the randall valve-dynamic series always lifted my curiosity, simply because I like the idea of a preamp tube-into-a mostfet power section makes sense to me but I haven't tried any. Curious too why they dropped them from their new line-up?? Sure do like the manufacturer's efforts to close the gap though as it keeps things interesting. And im sure more-so as computers get more powerful and more time for r&d goes on. Thanks for the article. i have a 50 watt marshall park with 12 inch speaker and custom distortion. and yes, it is solid state. and it sounds like every note i play comes straight from the depths of hell(trash metal and nu metal sound killer) and i have had experience with tube amps as well. a friend of mine who has a tube marshall(jvx 2000 i think was the name) and i dont like how it sounds.i also have a guitar driver,which has only tube amp emulators and i just cant manage to change it to my preferences(well i actually can)but there is still that noise?sound. even when there is an eq and a lot of bass i can kinda hear this sound..how do i describe it.....ouh yeah!!!! like the wall breaking or explosion sound from the old video games from 1984 for example)i dont like it, i like spacious sound with a lot of bas and without that screaming effect sound,i managed to make my tone like there is no distortion at all, like the guitar sounds like that no matter what,but actually there is so much of it,it sounds like .idk ya know,different people,different,taste. Hi Richard. I agree that tube amps have a special overdriven sound that's hard to replicate with solid state technology. I think it comes down to whether you want to trade a little bit of that tube magic for the reliability, dependability and flexibility of solid state. If the sound isn't there for you, SS may not be right for you. As for those famous guys, they all have amps techs to manage their rigs, and many of them grew up in an age where solid state amps sounded terrible. They each have their own unique tone, crafted from just the right guitars, amps and effects. There are also certain stereotypes that go along with gear. Marshall tube amps are the sound of rock. Fender combos for blues. Peavey 6505 and Mesa Triple Rec for extreme metal. Professional guitarists ( or those who want to be) tend to gravitate to these brands and amps, but that doesn't mean they are right for all of us. I was at a local large music store that had many SS amps & really wanted to get one. I tried the Orange, Marshall, you name it. Think I pissed off the salesman by trying so many. I play blues/rock and have yet to come across a SS amp that can cut it. Albeit, I haven't tried the new Bluescube....That said, the problem with SS amps is the dialled in dirt. Great for cleans but they lack the required chime that only a tube amp can deliver. If SS is that good, why do 99% of famous musicians play through tube amps? Hi Rhino. The differences were covered in this article. Tube amps are based on old vacuum-tube technology where solid-state amps are based on somewhat more modern transistor technology. For example, in the olden days television sets and radios were built using vacuum tubes. When transistors came around companies could build tvs and rations that were more reliable and affordable. The difference with guitar amps is that, according to some players, tubes sound better, which is why all guitar amps are not solid state. What is a tube? What is a solid state? What does tube and solid state mean? Oh and I nearly forgot my stint with a tube power amp! I had a Marshall JMP1 ( sounded good but ran hot ) and I then tried to find a tube power-amp to go with it. 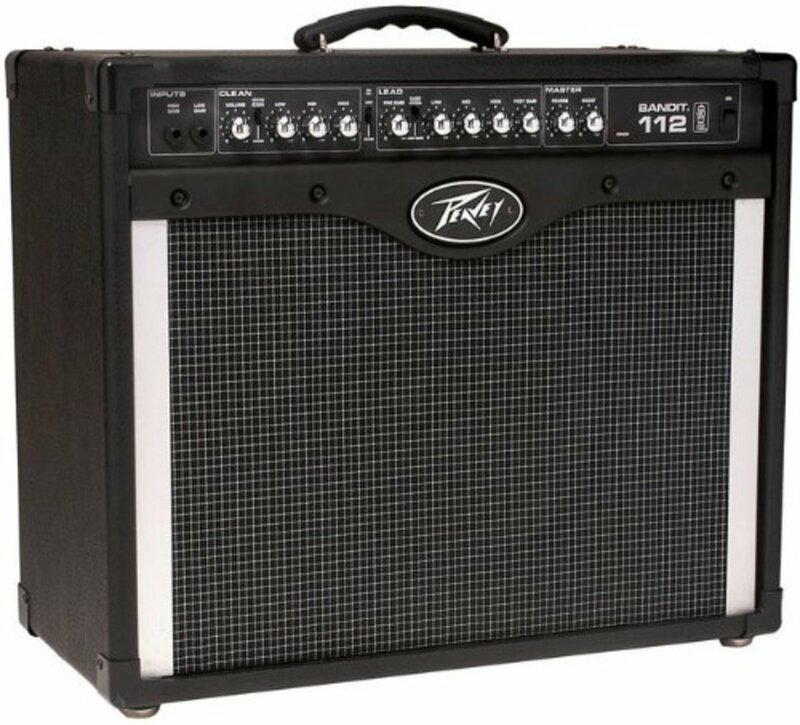 Admittedly I didn't have much $ to spend, so I looked at a Peavey 50/50 ( sounded "okay" ) but the noise from the fans ( to cool the tubes ) put me off playing a low volumes! I eventually went with a Marshall 20/20 power amp, that sounded good and complimented the JMP1 well, however I soon discovered that they'd only survive (literally ) by leaving one rack-space ( or more ) between them, as the heat generated between both of them, almost melted the screen on my Quadraverb that was also in the rack! I swear I could have nearly fried an egg on the power amp! I just don't think there is any place for tubes in this day and age, at least not out on the road live, I can see the appeal ( although I'm not sure why ) of having some little old Fender Champ, getting all hot & smoky, with that great ol' smell of hot amp wafting around, but it would have to stay at home, I'd never take a tube amp out of the house ever again. Tube amps are a lot of pain for what is essentially a 1-trick pony! Yeah they may do "that" sound well, but all that grief for what is essentially one sound? I'd rather have the reliability and versatility of the Kemper, Axe FX etc. But hey, it's all personal preferences! All the best! Thanks for your thoughts, Tube Hater! I suppose, like many guitar players, I do prefer the sound of tube amps. However, I must concede just about everything you mentioned here is a very strong point in favor of solid state. And you are right: "Better" is a very opinionated word to use here, and not everyone will agree. I am particularly intrigued by your comment about going back in time 50 years. Maybe tube amps would never exist, and we'd not know any different! 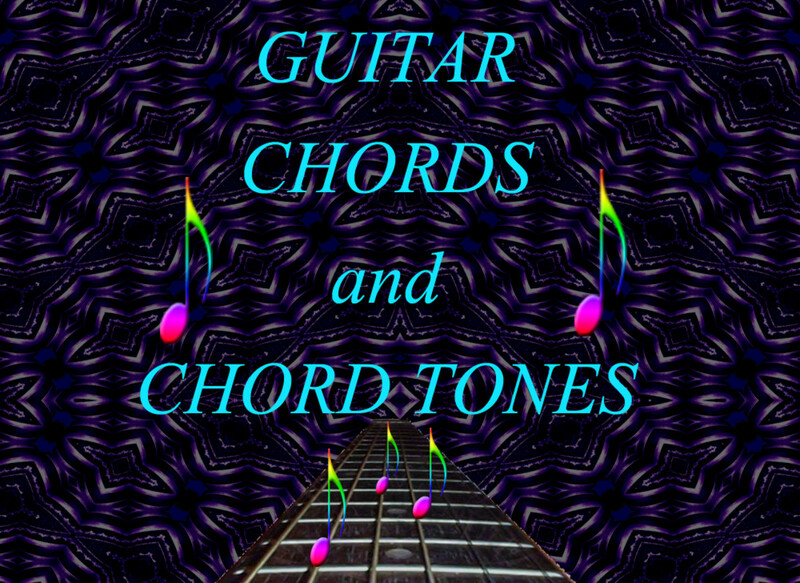 the guitar tones on ALL those albums, more so than say a "Deep Purple" record, that features "Classic" heavy ( cumbersome to my ears ) hard rock tube tone. We all have our preferences! So to say "Tube tone is better" is a bonehead statement! Better for some, yes perhaps! But not for others! In my youth, older players started telling me that I needed a tube amp even though I was happy with my Lab Series combo and a bunch of pedals. So first I bought a Hiwatt 50 head and 4x12 which damn near destroyed my hearing! ( I can see why Pete Townsend went deaf! ) The only thing I liked about it was the look and the fact I could keep my food warm on it :) but I hated it's aggressive harsh tone. "Ear Spank" as I call it! 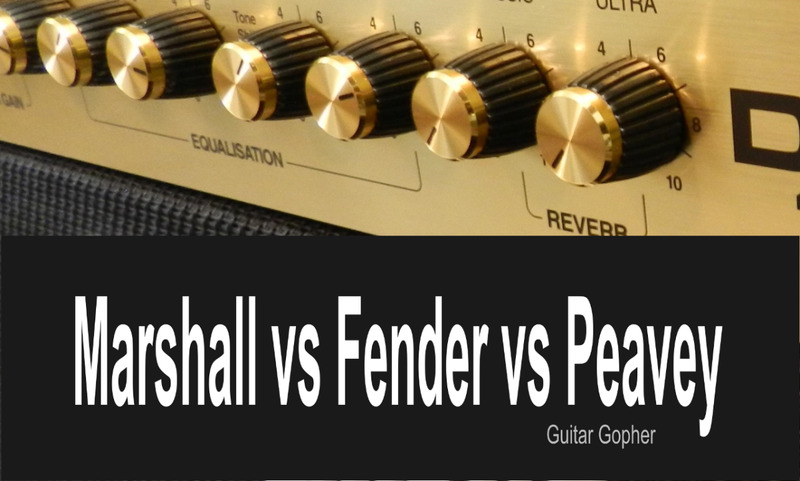 I then bought a Marshall plexi reissue yet more "Ear spank" (especially with the "Hi Treble" knob off zero, hence that knob was unusable/unbearable) That went and I bought a Fender Twin, less harsh sounding, but nearly caught fire one night! I went through a few more ( trying to convince myself that I needed a tube amp....) Until the last one I bought a few years ago ( An Ampeg literally blew up a few months after I bought it mid-gig! ) And ever since then I have decided to keep away from valve/tube amps forever! I don't care how "good" the tone is! The tone maybe slightly different, but better? NO! Just a little different that's all! Depends how you like ya coffee! Same thing! And I agree with the post above about trying to get someone to fix tube amps! Amp techs notoriously take forever and a day to even get around to even looking at your amp! Then often hit you with a large bill for repairs!Months later! Now I have an Axe FX fed into an old Crown solid state ( 50/50 pa type amp ) And wouldn't swap it for all the tubes amps in the world. Ask yourself, if we went back in time 50 years and showed Leo Fender and Jim Marshall what we have today, do you honestly think they would have made amps with tubes in them??? I think they would have been intrigued by the likes of Kemper and Axe FX etc, to say the least! I honestly think that most play tube amps due to "nostalgia" Well, sorry, but I'm done with nostalgia in 2015! Oh and mind your back with that clunky old tube amp ;o) Crackle, crackle! There's no big mystery here. It's all in the way the amp clips the sound wave when over-driven. If the waveform looks like a square wave, it's going to sound like a square wave. You look with an oscilloscope on the output at the speaker terminals. If it's going to look like a triangle shape when over-driven, it's going to sound like a tube amp. Otherwise, it doesn't matter what's in the box, Except that tube amps are heavy and those tubes are fragile. Square shaped waves sound harsh and unmusical in general because of the harmonics that go into making it square shaped. A triangle wave has harmonics that are more musical because the harmonics that go into making it shape that way are more like what happens in nature and therefore sound more usual and musical to our ears. There really is no mythological or occult issue here. The day they learned how to make semiconductor circuit outputs that clipped like a tube, the difference mostly disappeared and only got better sounding design after design. Today it's mostly the myth of tube sound that keeps them alive. Otherwise, tubes have been replaced by transistors every where tubes were once used. I agree, J Golschneider. Especially if you're gigging, a tube amp can be risky. But many of them do sound awesome! I've got one of each, and while I do love the sound of my tube amp, the fragility always makes me nervous. I like to keep my solid-state on hand just in case the next bump in the road renders the tube one useless. It's amazing how far solid-state amps have come in the past couple of decades. Where before they were all buzzy and lifeless, they've really become a viable alternative to tubes. I agree: a good player will still sound good, even with a solid-state amp! I recently played an Orange C60 combo not realizing I was playing a solid-state guitar amp. WOW was I impressed. I have owned a variety of tube amps and played a variety of tube amps over the 23 years I have played guitar. I have come to the conclusion that when it comes down to it, if you are a skilled player you can make anything sound good. Thanks Frankie! Sorry about your trouble with your amp. Tube amps are great, but they do come with a few headaches. For what it's worth, I don't think there is anything wrong with going with a loud solid-state amp if you are a gigging musician. You have enough to worry about without your amp going south on you. Digital distortion sounds much better than it used to too, and there some great amps out there with on-board effects so you can leave your pedals at home. Good luck! Good honest review. I started playing when i was about 10, had the typical marshall mg solid state amp (or whatever it's called). then i think i ended up getting a marshall stack that was solid state. when i started playing in a band and gigging i learned about tube amps and how they sound "better". i've bought 4 tube amps since i've started gigging and recording. now let me say this. they are expensive. ridiculously expensive. you have to maintain them. they can and WILL fail in you. i've probably played about 10 gigs in the last 6 years where my amp has straight up failed. stopped working. my jcm900 crapped out on me on night. haven't gotten in fixed. i'm at the point where i am fed up. i'm not a professional, endorsed, paid, musician. i can't afford for the amps to keep breaking. amp tech? yeah right. you drop your amp off and get a call 6 months later finding out they have no idea what's wrong. 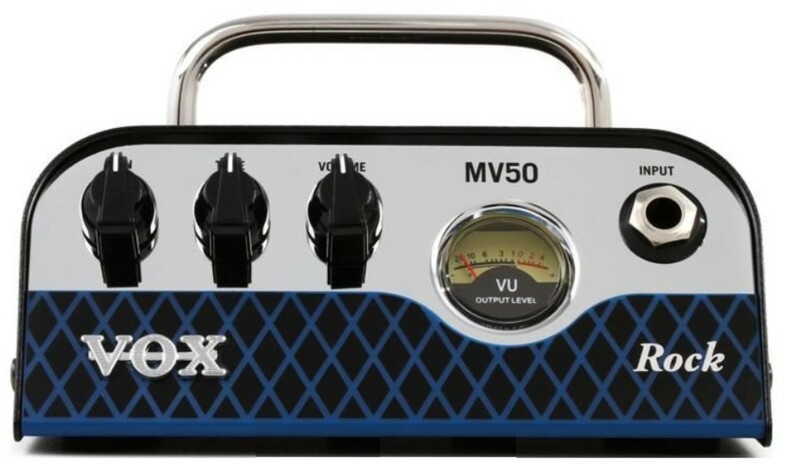 i'm about to pick up a solid state vox and call it a day. like the author of this article said, unless you can afford it and you HAVE to have tube tone, don't get a tube amp. Thanks for your input, Kyle! I do like what I see and hear in the Blackstar lineup. Ah. We must not forget the Axe Fx which many famous guitar players are now using. Also the new Blackstar ID series, which I own the 100 watt head, is a game changer for "solid state".